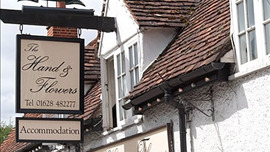 The picturesque and historical village of Bray with its lovely riverside setting is also home to celebrity chef Heston Blumenthal's internationally famous restaurant, The Fat Duck. 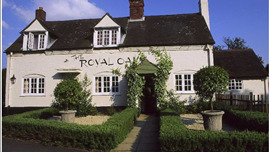 One of the most written about restaurants throughout the globe since its opening in 1994, due to its molecular gastronomy and eclectic menu, it has been the recipient of numerous awards over the years, including three Michelin stars, 5 AA Rosettes and listed among the top 50 restaurants in the world by Restaurant Magazine. 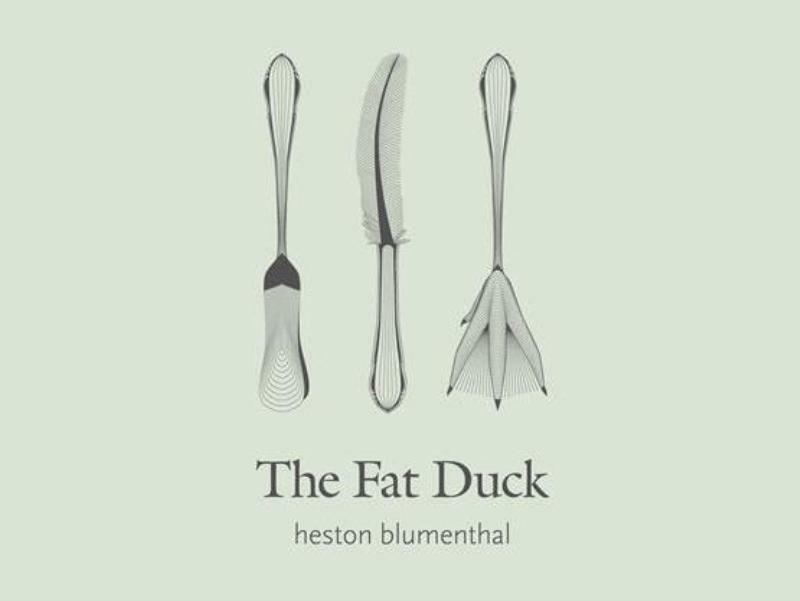 Heston's trailblazing efforts have also been officially recognised and he now has a PhD and an OBE - a rare feat for a chef who lives on the outer limits of gastronomy. It's no exaggeration to say that the man deals in white-hot culinary alchemy, taps into ideas that few other UK restaurants would even dream about, and pulls off most of his amazing experiments with a mix of daredevil wizardry and consummate technique. A former converted village pub, the Grade II listed building that can trace its roots back to the 16th century was closed for 6 months in 2015, while renovations costing £2.5m took place, relocating to Melbourne, Australia for this period. It re-opened in September 2015 with an exciting new menu that follows a 24 hour magical and nostalgic journey to the seaside. Step through the entrance to be greeted by a hologram of a spinning globe, into a low beamed dining room with simple white washed walls. Strategically placed lighting spotlights the extraordinary dishes presented to your table with pure theatrical flair and accomplished precision. On the table there's a map and magnifying glass for you to follow the journey, while the reverse lists the intriguing itinerary starting with The Day Before We Go: Are we nearly there yet? Dishes such as his legendary egg and bacon ice cream, no longer appear on the menu, while others such as the Sound of the Sea have remained but have been updated. The dessert course concludes in a grand finale extravaganza, And then to dream - Like a kid in a sweetshop, with a £150,000 doll's house-shaped mechanical sweetshop, puffing out smoke rings from the chimney and dispensing sweets from self-opening drawers. At 2016 prices, it will set you back £255 a head, plus 12.5% service charge - and that's without looking at the encyclopaedic wine list, so for most people this would be considered a 'bucket list' experience. 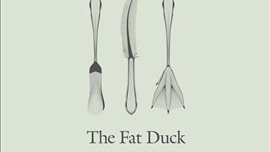 A ticket for this memorable day out can only be booked and paid for in advance on The Fat Duck's website.